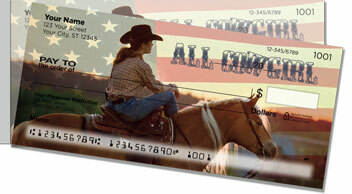 Hey cowgirls, kick up some dust with these fun-filled rodeo-themed checks from CheckAdvantage! We had our artist come up with four unique designs for this collection. 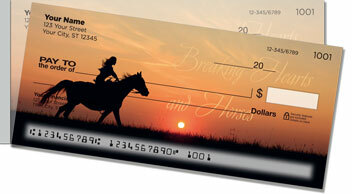 They speak to the seductive mystique surrounding women who ride the range. 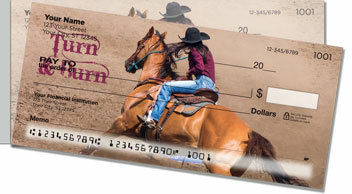 After all, not just any girl's a natural at barrel racing! 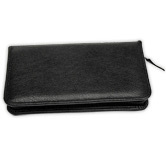 With these convenient side-tear checks, your documents will separate from the pad with ease, thanks to the short perforation. 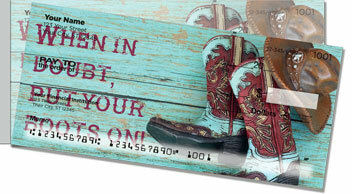 Also available as a set of matching Rodeo Cowgirl Address Labels, these personalized products will be right at place in your home or ranch office. Make them yours today!